After much debate and last minute shenanigans, the American Taxpayer Relief Act ("ATRA" for short) was signed into law on January 2, 2013. This new law makes the changes made by the Tax Relief, Unemployment Insurance Reauthorization, and Job Creation Act ("TRUIRJCA" or "TRA 2010" for short) that was enacted in December 2010 permanent with regard to federal estate taxes, gift taxes and generation skipping transfer taxes, with one notable exception. Below you will find a summary of what ATRA provides with regard to these types of federal taxes for the 2015 tax year. For a complete overview of the changes made by ATRA to income taxes, estate taxes, gift taxes and generation skipping transfer taxes, refer to New Estate Tax and Income Tax Laws for 2013. New and more favorable estate tax, gift tax and generation-skipping transfer tax exemptions and less favorable tax rates have gone into effect. Under the provisions of ATRA, the federal estate tax exemption has been indexed for inflation and therefore increased to $5.12 million in 2012, $5.25 million in 2013, $5.34 million in 2014, and $5.43 million in 2015, but the estate tax rate for estates valued over this amount was increased from 35% in 2012 to 40% in 2013 and future years. In addition, the lifetime gift tax exemption has also been indexed for inflation and therefore increased to $5.12 million in 2012, $5.25 million in 2013, $5.34 million in 2014, and $5.43 million in 2015, and the maximum gift tax rate was increased from 35% in 2012 to 40% in 2013 and future years. Finally, the generation-skipping transfer tax exemption has also been indexed for inflation and therefore increased to $5.12 million in 2012, $5.25 million in 2013, $5.34 million in 2014, and $5.43 million in 2015, and the maximum generation-skipping transfer tax rate was increased from 35% in 2012 to 40% in 2013 and future years. These unified exemptions will continue to be indexed for inflation in 2016 and later years but the tax rate will remain at 40%. In addition, the annual exclusion from gift taxes will remain at $14,000 for 2015. "Portability" of the federal estate tax exemption between married couples has become permanent. In 2009 and prior years, married couples could pass on up to two times the federal estate tax exemption by including "AB Trusts" in their estate plan. TRA 2010 eliminated the need for AB Trust planning for federal estate taxes in 2011 and 2012 by allowing married couples to add any unused portion of the estate tax exemption of the first spouse to die to the surviving spouse's estate tax exemption, which is commonly referred to as "portability of the estate tax exemption." ATRA makes portability of the estate tax exemption between married couples permanent for 2013 and beyond, which means that in 2015 a married couple can pass on $10.86 million to their heirs free from federal estate taxes with absolutely no planning at all. 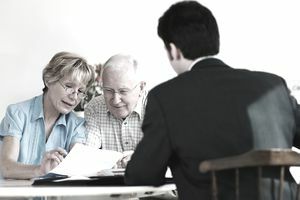 Note, however, that even if the deceased spouse's estate will not be taxable (in other words, is valued less than $5.43 million in 2015), the surviving spouse must file IRS Form 706, United States United States Estate (and Generation-Skipping Transfer) Tax Return, in order to take advantage of the deceased spouse's unused estate tax exemption, otherwise the deceased spouse's exemption will be lost. The "pick up tax" was not resurrected. In 2005 the "pick up tax" was phased out under federal law. The pickup tax was a state estate tax that was equal to a portion of the federal estate tax bill and was collected by state taxing authorities. If the estate tax laws were allowed to revert back to the laws that were in effect in 2001, then the pick up tax would have suddenly reappeared in 2013, which would have meant that states such as California, Florida, and Texas would have once again collected a state estate tax in the form of a pick up tax. Unfortunately for states without a freestanding estate tax, ATRA did not resurrect the pickup tax, so it continues to remain dormant and will not reappear anytime soon. Refer to the State Estate Tax and Exemption Chart for the list of states which currently have a freestanding estate tax. Special planning will be required for state estate taxes in some states. To date, only one state, Hawaii, has made the state estate tax exemption portable between married couples (Maryland will recognize portability but not until 2019). This means that in states where there is a difference between the state estate tax exemption and federal estate tax exemption (such as in Maine, where the 2015 estate tax exemption is only $2 million, which leaves a $3.43 million gap between the state and federal exemptions), married couples will need to include special ABC Trust planning in their estate planning documents in order to take advantage of both spouses' state estate tax exemptions (if this type of planning is allowed under applicable state law). Refer to the State Estate Tax and Exemption Chart for the list of states which currently have a freestanding estate tax. Special planning may be required for generation-skipping trusts. While as mentioned above the federal estate tax exemption has been made portable between married couples, the generation-skipping transfer tax exemption is not. Thus, in order for married couples to take advantage of both spouses' generation skipping transfer tax exemptions, special planning may be required in married couples' estate planning documents.